The origins of this pure Sativa breed can be found in the South African port city of Durban. Although its’ history is now disconnected from the African continent, there is still something exotic about it. Over the years, Durban Poison has earned the nickname “The Espresso of Cannabis”, probably because of its sweet, pleasant smell and energetic effects. If you are not looking for a lazy night on the couch while binge-watching Game of Thrones, you are in luck. This strain is the perfect solution to keep you productive and invigorated through a busy day at work (just be careful), while exploring the great outdoors or even when you decide to grab your guitar and write the next big stoner hit. These are trusted partners to delivery Durban Poison Seeds worldwide. The original Durban Poison plant is tall, with dark brown/purple twists and a very special anise flavor. Its yield is definitely above average and its long and heavy buds, make it a growers’ delight. Even though the “poison” part in the name does not sound exactly appealing, this beautiful plant has quite the opposite effects and its’ high THC content (reaching sometimes above 20% levels) will be sure to give you a nice buoyant high! Durban Poison is a pure Sativa strain and has been around since the late 70s and has been named after the second biggest city of South Africa. Although in its pure form it is 100% sativa, it has been crossed with a plethora of strains and there is a good chance that its genetic code can be found in some of the most well known and beloved hybrids. Contrary to many modern strains, Durban Poison doesn’t have a very complicated lineage that comes after years of cross-breeding. In fact, it is quite the contrary: Durban Poison was one of the many African varieties that were brought in the US by wandering hippies and smugglers all over the world. Although Colombian, Mexican and Thai varieties were much more common, it wasn’t at all unlikely that experienced and well connected stoners could get their hands on some African breeds. Durban Poison in particular, followed a rather meandering route to reach the US in its current form. It is well worth noting that this area of South Africa was also famous for many other unique landraces (such as the ones coming from Lesotho, Malawi and Swaziland). According to the 1987 Super Sativa Seed Club catalog, the buds that Durban Poison originates from, come from the area around Pinetown which is about 10 miles inland from Durban and a good 1000 feet higher in sea level. The original Durban Poison, was first collected and became famous by the legendary American breeder Sam the Skunkman in the late 70s. But the story is not so simple. Let’s follow the journey of this great strain, from the coasts of the Southern Ocean to nearby dispensaries and Amsterdam seed banks. Back in the fabled and beloved late 70s era, an earnest and hopeful young man by the name of Ed Rosenthal was in South Africa, seeking a new strain for further development. The variety that he discovered was one of the earliest finishing plants in the area and he took it home to the US. There, he started cultivating and kept developing the strain through careful selective inbreeding. Ed passed on some seeds from his work to his friend, Mel Frank for further work. Their focus was to reduce flowering time whilst simultaneously, increasing the yield. Mel worked with several generations of the plants, choosing to further breed the quickest and most resinous among them. The process resulted in two distinctive phenotypes, that Mel creatively named A and B. The A strain was his favorite, so he chose to move on with it. And it was around then that the B strain of Durban Poison found its way to Europe. In a rather friendly gesture, Mel Frank gifted his not-so-favorite “B” line to his friend Sam the Skunkman. Sam does not need special introductions among the cannabis connoisseurs, as he still holds legendary status among breeders. However, this gift was just a beginning of a long and successful story. Sam took the seeds with him back to Amsterdam, where the seed business was starting to grow. It is also well worth noting that among those seeds that gave birth to the Durban Poison, one could find the start of the famous Skunk#1 line. His goal was, again, to reduce the flowering time, so that the plant could have a chance to finish outdoors during the –rather short- Northern European summer. His successful attempts made Durban Poison one of the most popular plants in its early days. “South African Durban Poison was first introduced by me. I got maybe 100 seeds from South Africa (gifted from Mel Frank) and grew them in California in the late 70’s. Most were hermaphrodite, small calyxes, as well as not so great buds. But I saw the potential for an early Sativa so I worked with it for a few years to clean it up. I finally eliminated most of all the bad traits, and introduced it in the early 80’s. When I took it to Amsterdam it was an immediate hit, one of the few Sativa strains that can be grown outdoors in Holland most years if the weather is OK at harvest time. Every seed merchant in Holland bought some and made copies as well as Hybrids, All of the Durban Poison genetics being passed around were originally from my work until Afro-Seeds popped up a few years ago”. His Durban Poison was a pure Sativa that was created from seed lines and was maintained with clones, Male and Female. Their initial taste and smell was very similar to today’s varieties and the effects made it –according to Sam himself- an ideal daytime smoke. Sam had also some comments to make regarding the future hybridization of the breed. “I have heard that Afro-Seeds made or collected their Durban Poison seeds from fresh seeds every year, they did not use clones to make them, and that is fraught with problems. You can maybe select a good female seed parent by looking at and smoking the results, but what about the Male pollen parent? How do you know a new male from seed is good enough to use as a pollen parent? Or the best male to use as a parent? The only way I know is to make a clone of the male’s to be tested and make crosses with the best selected females (clones), then grow out the different batches and see what males & females give the best results. If you are not doing this, then the male you use could be great or a lousy male with no ability to help produce plants that are great. One thing is for sure the seeds you got years ago will not be the same as what you get today, as both the females and males used to make seeds are not the same each year. The consistent and durable nature of the Durban Poison is in itself strong evidence of the extensive amount of work behind it. For people looking for a true Sativa experience, Durban Poison is the way to go. For growers that are looking for a fast and easy grower, with a great yield and high THC content, Durban Poison is the most sensible choice. During the many years since its rise from obscurity, Durban Poison has become a cult classic, with a small, but very dedicated fan base. Its popularity however is steadily increasing and there is a good chance that crosses of Durban Poison are available for growing or in some nearby dispensary. Its’ high potency levels sometimes reach 20%+ levels of THC, without ever becoming annoying or uneven and it makes for some incredibly productive stimulant that you’ll want to enjoy on a day out! Needless to say, the plant still remains a global favorite to this day, with over 5 decades of history and favorable reviews. It is even one of the main building blocks of the modern cannabis DNA pool. It is a strain that has been mixed with nearly everything, and is likely a part of the lineage of some of your favorite strains. Many major seed banks offer a version of Durban Poison, with varying characteristics. There are numerous auto-flowering and feminized options as well. Durban Poison has won a 3rd place prize at San Francisco’s Cannabis Cup in 2010. Although Durban Poison has a long and fabled history among marijuana seeds and there are many hybridized varieties out there, the original Durban Poison is to the day, a true inbred line. True Durban Poison weed is a tall, lanky plant with dark brown/purple pistils and a distinctive anise/liquorice flavor and aroma. Buds are long and heavy, making for a good yield. Durban Poison weed is a true Sativa strain and the high is uplifting and productive, very similar to Thai weed. Getting high on Durban Poison can be a quite pleasant and social experience. A great choice for all you festival-goers out there and also, an amazing choice for beginner growers! These are trusted partners to delivery fresh Dutch Passion – Durban Poison Feminised Seeds worldwide. Your regular Durban Poison, in its Feminized variety. Although this particular strain is not nearly as potent as others and the THC count is relatively low, it still bears some of the uplifting, happy-go-lucky characteristics of its original cousin. With Durban Poison, you can still have a perfectly functional day, without spending it melt on your sofa. The bouquet of Durban Poison cannabis gives hints of the very distinct taste it carries; a remarkable liquorice, anise flavor that is instantly recognizable and feels almost medicated. Durban cannabis is Sensi Seeds’ version of the world famous Durban Poison, this is the auto flowering variety of the world famous South African seed. With a pretty badass story behind it and a name to match, Durban marijuana is a cult classic among cannabis connoisseurs. Durban cannabis performs best if you leave her to grow outdoors. Whilst it is true you will need a pretty good climate for this, Durban weed is much more hardy than you might think. Sensi have acclimatized this strain for temperate climates and a hot African climate is not a necessity. Indoor growing is an option, however you may need to “train” your plant, in order to adapt. What you get is an all-too-familiar liquorice/anise taste and a pleasant upbeat high that made this plant famous in the first place. These are trusted partners to delivery fresh Sensi – Durban Auto Flowering Seeds worldwide. Time to get a little bit technical here: in order to create this here variety, Nirvana used an IBL Durban Poison plant that was crossed with the CBD-rich Supreme. The plant has 8% CBD and 8% THC, so a 1:1 ratio. The Durban Poison was used in order to create a stable high CBD strain. This particular hybrid is sativa dominant (70%) so she grows out quite tall. According to the breeders, during the flowering period she will add 2/3 to her height, so it is essential that her growing period should be shortened. Durban CBD is a great strain to use in a SCROG setup. She grows vigorously with large fan leaves and fingers that are widely set apart. Flowering will take between 60 to 70 days. The aroma is –unsurprisingly- aniseed and the taste features hints of liquorice. The mild THC percentage paired with the high CBD content creates a gradual muscle relaxation feeling that will greatly reduce pain, decrease the intensity and frequency of spasms, acts as an anti-convulsant with epilepsy. Supreme CBD Durban has also many other medicinal functionalities and can be used to combat anxiety and stress disorders. Having a CBD content also helps reduce inflammatory common with Irritable Bowel Syndrome, Crohn’s disease and Ulcerative Colitis. These are trusted partners to delivery fresh Nirvana – Supreme CBD Durban Feminized Seeds worldwide. Medicann Seeds have taken Durban Poison one of South Africa’s best marijuana strains and crossed it with Lavender and then the super special Afghani ’76. The result is a Sativa dominant cannabis plant that produces very large buds and leaves take on a blue/purple color towards the end of the flowering cycle. The plants calyx to leaf ratio makes it an easy plant to trim. This strain produces a strong citrus aroma that leaves your mouth watering. When grown indoors the harvest time is from 60 to 70 days, production levels are 450-550gr/m2 indoor – 600 gr/m2 outdoor and the outdoor harvest time is mid-October in the North/hemisphere late September and in the South/hemisphere late March to early April. With THC levels around 20% and CBD 3-5% its used to help with: Anxiety, Migraines, PMS, Depression, Stress, Insomnia, Muscle spasms, Pain, Headaches, Back pain, Epilepsy. These are trusted partners to delivery fresh Medicann – Blue Mountain Durban Feminised Seeds worldwide. 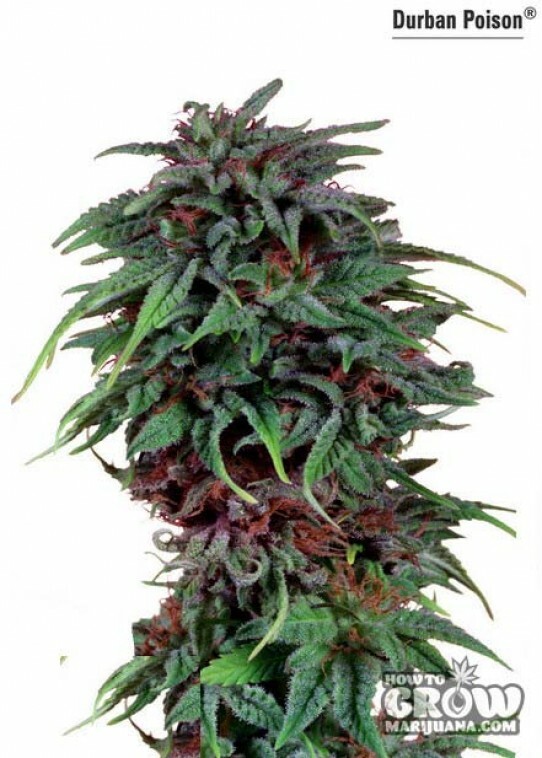 Another magnificent African strain, the Swazi is very well known for its spectacular red hairs and highly potent sativa buds, which are guaranteed to give a strong high to the user. As the name hints, this variety comes from the same part of Africa as Durban Poison – namely, Swaziland. This strain has a strong aroma, which is more akin to a cigars and fine smokes. Its high is typically sativa: very energetic and cerebral. Another highlight of this plant is that it can produce immensely large and extremely resinous buds, that can reach the size of an adult’s forearm. This wild strain, hails from the darkest corners of the Dark Continent. The favorite smoke of Shaka Zulu himself, this variety is prized among cannabis enthusiasts, both for its history and immense potency. This variety promises a very active and creative high, that will be sure to release your inner warrior and make you fight through the day with a smile and a laugh. These are trusted partners to delivery fresh World of seeds – South African Kwazulu Feminised Seeds worldwide. Continuing this presentation of African races, this quality marijuana strain is the byproduct of the combination of the classic Cinderella 99 with the fast flowering Afropips Nigerian. Coming from two of the best cannabis strains, Nigerian 99 is able to produce a hashy kind of high that is characterized as energetic and strongly psychoactive. Nigerian 99 seeds are very strong and high yielding. In addition, this plant is very easy to grow and is recommended for beginners. The plant structure of Nigerian 99 is described as elegant and has a dominant stem which provides a stable branching, a trait that came from the Afropips Nigerian. Know that Nigerian 99 is known for delivering very strong cerebral high that will work your body till it gives out. Interestingly enough, when Nigerian 99 is mixed with food, it can induce a noticeable drunken-ness that can even lead up to hallucinations! Malawi Gold is harvested exclusively in the Northern region of Malawi, at the altitude of around 4000ft. The hot and humid weather conditions of the area, mean that Malawi Gold has developed superior resistance to mold and can adapt to almost any environment, making her a very hardy and easily cultivated plant. The plants (which are affectionately called “Chamba”) grow strong and tall with lots of branching and the smell is distinctly of exotic pineapple/lemon mingled with spicy incense. The buds are king sized, super-resinous, and are a deep gold, almost Amber color. This ancient strain is very potent and should be used with respect as it will almost always induce an intense psychoactive high, that can prove more than you can handle. These are trusted partners to delivery fresh Seeds Of Africa – Malawi Gold Seeds worldwide. It is only fitting to close this article by presenting yet another Durban hybrid. Durban Magic Regular is an indigenous strain found all over Durban’s countryside. Its strong fruity flavor is represented by its various shades of green, orange and purple resinous buds. The taste is aniseed and pungent, offering a typical Durban high: long lasting, uplifting with a strong sense of clarity and creative sparks. These are trusted partners to delivery fresh Seeds Of Africa – Durban Magic Seeds worldwide. Durban Poison has one of the most resilient and developed strains in cannabis history. The amount of work behind it is immense and its’ almost legendary status is anything but a coincidence. From the late seventies, this magnificent plant has begun its journey from the shady alleys of the port town of Durban, to the East Coast and then all the way to the Netherlands. If a true and pure Sativa experience is what you seek, Durban Poison will not disappoint. In the US it is one of the most sought-after strains (where legal) for its energizing and creativity-inducing effects. Its fast flowering time and immense yield make it a favorite among growers as well, who regard this plant as one of the most prolific ever. In addition, it is very easy to cross with other varieties and parts of Durban Poison genetics have surely made their way into many of our all-time favorite hybrids all over the world. Why buy Durban Poison Seeds? Is it true that weed grows on the side of freeways in China? Someone told me that once…not sure if they were pulling my leg..